A £100 non refundable deposit is required to secure your booking. Payments can be made in monthly instalments to help spread the cost. Full payment Is due 6 weeks prior to your holiday. We ask for a £65 key and damage refundable deposit. There is an additional charge of £20 per wk, per dog. 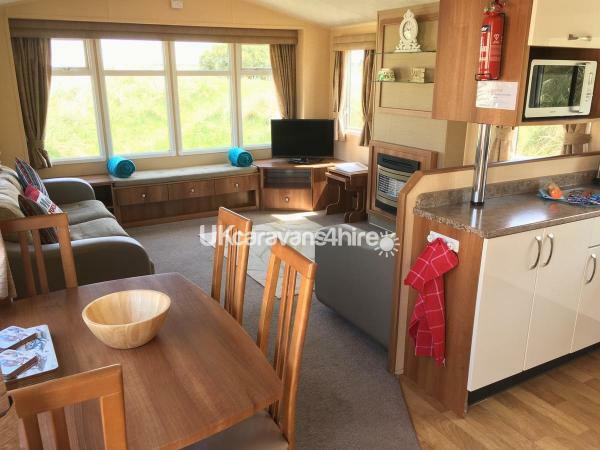 Welcome to our privately owned Luxury holiday home on Perran Sands Holiday Park in Cornwall. 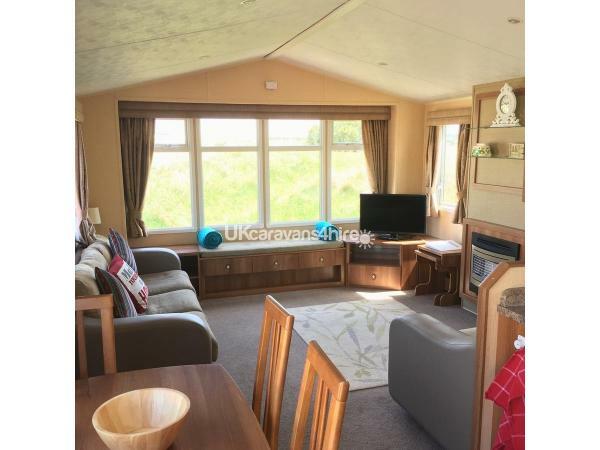 This is an amazing, prestige Willerby Salisbury, that is well maintained and in excellent condition. Situated in the heart of the park, just a few hundred yards from all the onsite facilities. 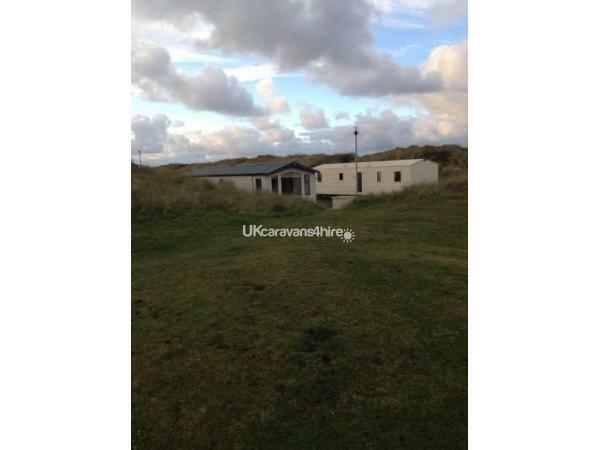 Our caravan is in a perfect, sheltered position, tucked in against the golden sand dunes. Here, you shall have the sun to enjoy from dawn to dusk, with a private grassed area, picnic bench and BBQ, to sit and relax. This is a walker's paradise. 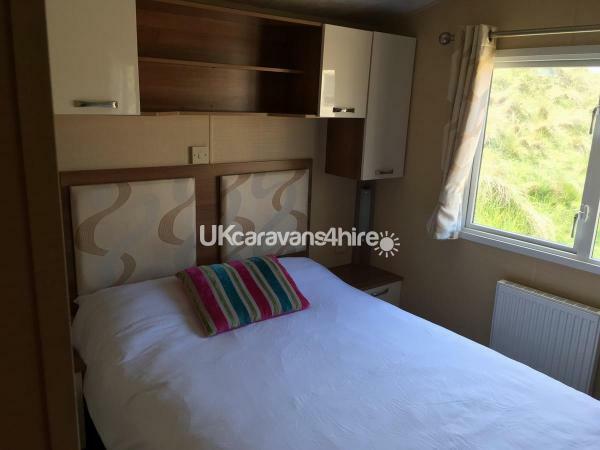 You have immediate access to the coastal paths, along the dunes, which lead directly down to the beautiful Perran Sands and Perranporth beach, where you will find places to eat and shop. Perranporth beach is a dog friendly beach which allows dogs all year round. 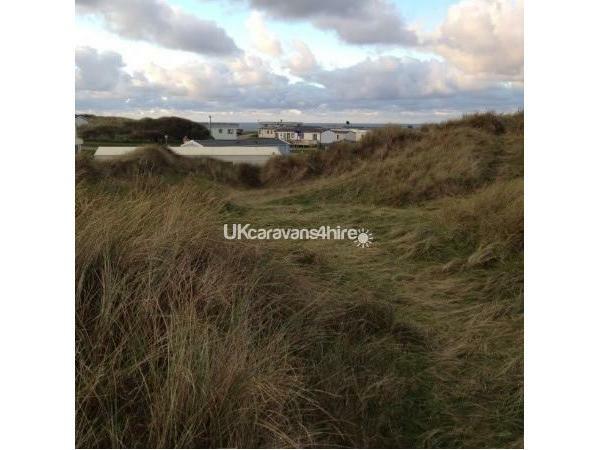 Our caravan is situated in amongst the beautiful sand dunes, being only a 10 minute walk to the beach. The play area for the children is just a very short distance away along with all the fantastic facilities this site has to offer. 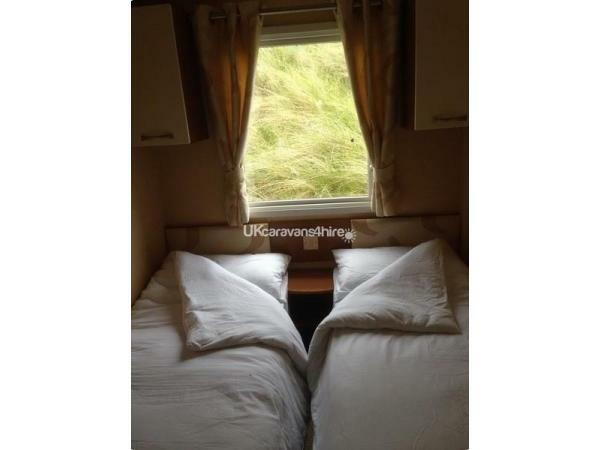 You also have a parking space right next to your caravan. 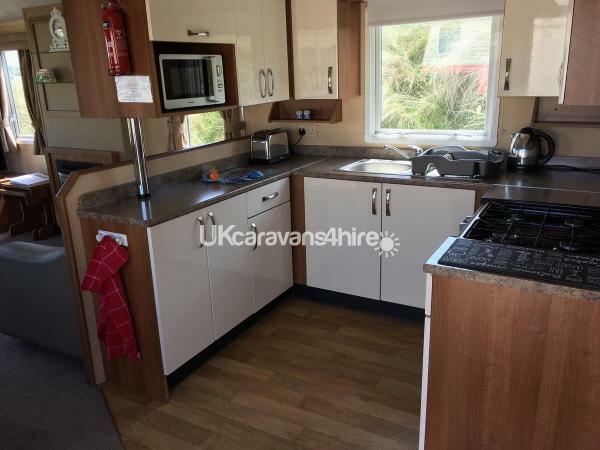 Our holiday home has a fully-equipped kitchen with all the utensils you should require and is fitted with a microwave, fridge freezer and oven. We are sure there is nothing you will be without. There is a TV with built in DVD player and Free-view in the lounge and a very comfortable free standing sofa, where you can sit and relax in front of the fire on the cooler evenings. 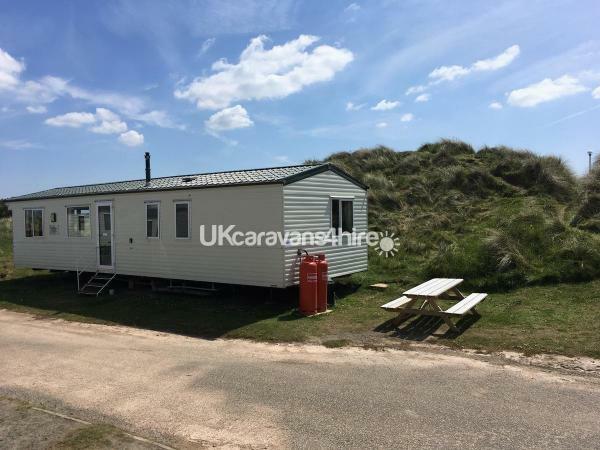 As you step into our holiday home, you have a horse shoe shaped kitchen in front of you, a very spacious lounge to your left with a lovely comfortable free standing sofa and window seat that looks directly out over the sand dunes. There is a dining table just off the lounge area. 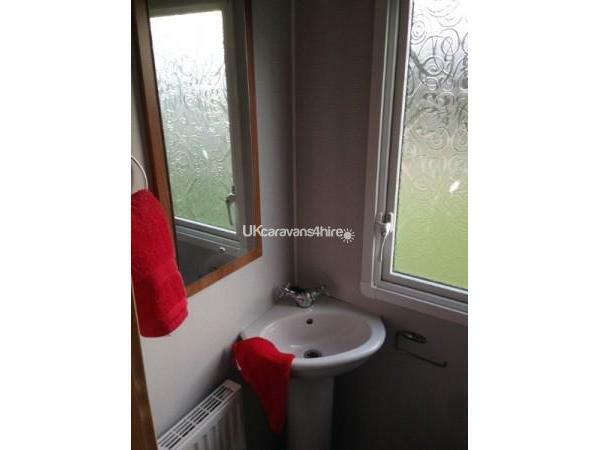 There is double glazing and central heating throughout. 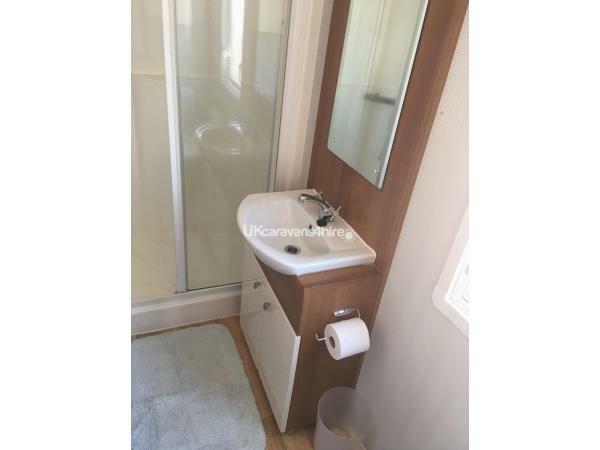 At the opposing end of the caravan there are two twin bedrooms and one double bedroom with a jack and jill bathroom which is light and airy with a shower cubicle, WC and wash hand basin. 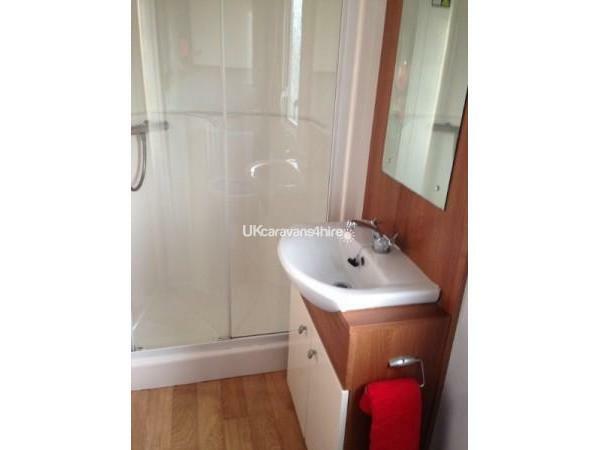 You also have the added luxury of a separate WC with wash hand basin. There is ample storage in all the bedrooms. Duvets and pillows are provided, but you will need to bring your own bed linen. Alternatively, you have the option to hire them on site. Additional extras include a hoover, spare blankets, board games, bath mats, tea towel, oven mitts and a high-chair. On arrival you will also find a complimentary welcome pack. For your peace of mind smoke alarms and carbon monoxide detectors are fitted in the caravan. Also, gas and electrical safety checks are carried out and certified annually. There is also an alarm in the caravan. Gas, electric and water are all included in the price. A £65 refundable security deposit is required upon booking. This will be transferred back into your account within 7 days of your departure, following satisfactory inspection of the caravan. 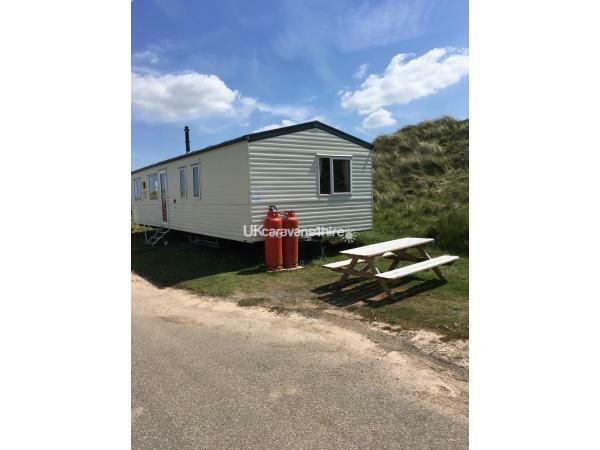 Perran Sands is a fantastic Haven site with something for everyone. It offers children's and adults' entertainment daily with discos, live music, bingo and lots more. You are spoilt for choice for dining with the on site Papa John's Pizza (which will deliver to your caravan), The Funky Fish restaurant and take away and The Surf Bay restaurant. There are three on site bars, one with Sky Sports TV, and a well-stocked Spar convenience store with bakery and gift shop. Other activities include: adventure golf, an activity hub and gym, Funworks amusement arcade and indoor play area, indoor fun pool with flume, an outdoor pool, go-kart hire, multi-sports court, play areas, launderette and lots, lots more. Passes are required to access the pool and entertainment complex on site, which are not included, but can be purchased from reception. Perran Sand is in a perfect location to explore the other beautiful sites of Cornwall. A few local attractions include: Lappa Valley steam railway, Newquay Zoo, Blue Reef Aquarium, Dairyland Farm World, Screech Owl Sanctuary, The Lost Gardens of Heligan and The Eden Project. Local towns of Truro, Newquay and St Austell are close by, with Lands End only a 50 minute drive away. We provide an information pack with all the local attractions for you to explore. For further information, prices & bookings please contact the owners Jennifer Nuciforo and Timothy Snell. Additional Info: play areas, 5 aside pitch, basketball ball net, indoor roller skating, go carts for hire, extensive range of sports activities and kids activities. Please visit Perran Sands website for the full list of what they have to offer.